The biggest challenge for a travel blogger is to write about a place you know very well. That might sound strange, but it’s because you lose the ability to see what makes it so special for someone who’s seeing it for the first time. That feeling of surprise or excitement when something is different from what you’re used to. Everything is just…normal. I had this experience recently when I was in Amsterdam for the Meet the Blogger conference. Even though I’ve only lived in Amsterdam for a little while, I went to university here and have been a million times. (Well, maybe not a million…) The canals, the canal houses, the bicycles, it’s Amsterdam, it’s Holland, it’s home. But even though I find it difficult getting excited about walking around the city (in a way that I feel I need to capture everything), I loved that Jess and I found some amazing places that were also new to me. And that’s when I started to feel like a travel blogger again. 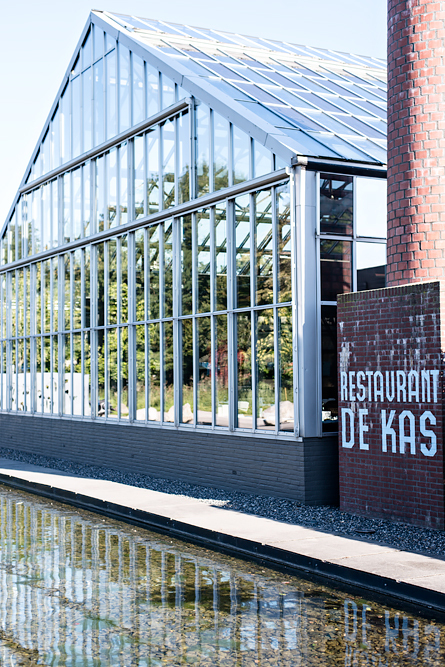 We started the weekend with a lunch at Restaurant de Kas and it was so good. 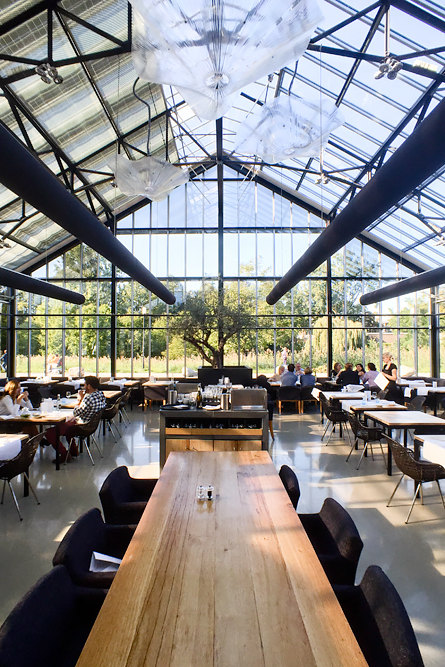 You’d almost forget you’re still in the middle of the city as the restaurant is located in a 8 meter high greenhouse. All the ingredients of the fixed two-course menu are super fresh with vegetables and herbs that grow in their own greenhouses and garden. Located in a former tram shed, Amsterdam now has its own indoor street food market, seven days a week, and it’s super cool. The last time I was in Amsterdam the Foodhallen were still under construction, so I was very excited to see the final result. We tried to eat as much as we could, but obviously (and unfortunately) we couldn’t try everything. The highlight for me was definitely Caulils grilled cheese sandwich. Best grilled cheese sandwich I’ve ever had! But I’m also still dreaming of that juicy burger. Sometimes Amsterdam will follow cities like London or New York when it comes to cool new initiatives like the Foodballen. But when Jess and I set foot in CT Coffee & Coconuts we both agreed that London should copy this as soon as possible. This former cinema from the 1920s is now a super modern restaurant split over three floors. The place is huge! You see people working on their laptops, drinking coffee or relaxing in the bean bag chairs. Every little corner looks different; it’s great. We were here on a Monday and the place was packed, but we still managed to grab a table for lunch and coffee. Delicious! After a decade-long renovation you can finally visit the Rijksmuseum again. I have to admit that the last time I visited the museum was long before they closed for the renovation, so I only had vague memories of what it used to be. What I did remember – and was looking forward to seeing again – was Rembrandt’s The Night Watch (Nachtwacht) and the Milkmaid by Vermeer. They’ve really done a brilliant job in displaying these masterpieces. The museum is beautiful! Recently I read Jessie Burton’s the Miniaturist, which takes place in 17th century Amsterdam. I loved the story so much, and it was inspired by a dolls’ house (belonging to Petronella Oortman) that you can see in the museum. I was expecting it to be big, but not this big! It’s absolutely stunning. Our local – and favorite – coffee place was Lot Sixty One. Right around the corner from the Foodhallen. I love how there’s now a real coffee scene in Amsterdam. Although we apparently need Australians to start coffee bars like this one… They roast their own coffee and it was just really, really good.